Abstract: The article deals with the use of the discourse analysis method in the study of city identity, the relevance of the application of this method to the study of abstract concepts is substantiated. The article analyzes local media as one of the sources for constructing the sociocultural identity of the city, examines the influence of Finno-Ugric culture on news content. Keywords: discourse analysis, media, city identity, socio-cultural image, Finno-Ugric culture. Features of the market economy model presuppose a competitive struggle for consumers. In this sense, territories are not an exception. Often, regions have to create and maintain an attractive image, which will entail additional financial and intellectual investments. Saransk received the right to hold matches in the Football World Cup in 2018, which requires the city to increase the attractiveness for both tourists and investors and the formation of an appropriate image that contributes to the development of the region. Coverage of local events by the mass media is a significant component of the image of any territory. In order to measure the socio-cultural identity of Saransk, formed by local media, in November 2014, we conducted a discourse analysis of the most common and widely read newspapers and news Internet portals of the city. Discourse analysis is preferred in the study of complex, abstract phenomena, such as the city identity. This is a deeper qualitative study than traditional content analysis. When studying the media, the discourse analysis method, in contrast to the method of content analysis, allows you to obtain not just statistical distributions and correlations between words and phrases, but hidden meanings of texts and the actors' motives. The research base was complined 9 Saransk newspapers in Russian. We excluded from the empirical base the newspapers of an advertising nature, as well as publications specializing exclusively in the placement of ads and TV programs. The selection of the most widely read printed publications of Saransk took place on the basis of their weekly circulation. Thus, the most popular among the townspeople are the newspapers "Izvestia Mordovii" (43,000 copies - a cumulative circulation for 4 days of the week in which the newspaper leaves) , Stolitsa S (43,000 copies a week)  and "Vecherniy Saransk" (20 thousand copies a week) . The information was collected during the period from 1 to 30 November 2014. Further, for the same period of time, based on the data of the "LiveInternet" site counter , we selected the most visited information portals of Saransk. Based on its data, we identified 3 urban news online publications on the assumption of highest attendance rate according to LiveInternet. Thus, the most visited Internet portals of Saransk were "Info-RM" , "News of Saransk - 13orb.ru" , "Gazeta13.ru" . As part of the study, we analyzed articles and news in parts: a headline separately, the first paragraph, the rest of a news and a message in general on several parameters in order to achieve the most accurate results. In the process of analysis, we searched for semantic blocks that somehow affected the image of the city. 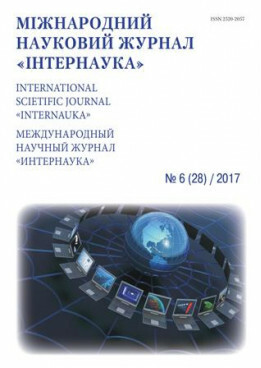 After that, schemes of interacting concepts and associative series were singled out in each semantic block such as political life of Saransk, Federal projects (in particular, the World Cup 2018), territory planning and architecture, sports, Finno-Ugric World events, innovative development, local culture, youth policy and education, social issues, industry, investing and the agricultural sector. In total, for the period from November 1 to November 30, 2014, we analyzed 1160 articles in the newspapers "Vecherniy Saransk", "Stolitsa-S", "Izvestiya Mordovii" and Internet publications on the news portals "13orb.ru", "Gazeta13.ru", "Info-RM". The results of the analysis did not reveal particularly bright trends in the formation of the media image of Saransk in print and online media. Among the news were both positive, and neutral and negative. In general, we can conclude that most of the articles that somehow affect the image of Saransk are related to such topics as accidents, road accidents, sports, housing and communal services, and city self-government. A separate block can be identified messages relating to organizational arrangements for the preparation for the World Cup 2018, which will take place, including in Saransk. Messages, one way or another affecting this event, take about 20% of news feeds in Saransk. Much attention is also paid to the news of politics, both at local and federal levels, which indirectly emphasizes the close dependence of regional authorities on central authorities. Further on, the frequency of mentions is followed by news related to the innovative development of Saransk enterprises and investment. For example, such reports include references to the conclusion of various agreements on cooperation between local enterprises with Russian or foreign partners, mention of grants received for the development of certain industries, etc. Not less frequent are the news related to the planning of territory development and architecture. The next popular topic is the events of the Finno-Ugric world, which once again indicates that Saransk uses its national specifics when forming its image. When analyzing materials on preparations for the 2018 World Cup in Saransk, the main idea of all articles was that the basis for any success of the region is the local residents' creative work. Therefore, the participation of citizens in creating the image of the region is so important for the authorities. In articles devoted to World Cup 2018, it is often stressed that when building the stadium "Mordovia Arena" will be maximally involved materials and designs of local production. In addition, it is said that the local labor force (including engineers and designers) is involved in construction and installation work. It can be concluded that Mordovia positions itself as a self-sufficient region that refused to import substitution and foreign labor. Also, one can trace the desire of local authorities to meet world standards. A lot of articles talk about attracting leading world companies to the construction of hotel infrastructure. Thus, local media form the image of Saransk, on the one hand, as a dynamically developing city with a high potential for introducing new technologies and high investment attractiveness, and on the other - as a hospitable city with a rich history and traditions. It is worth noting that the tidings that constructs the positive image of Saransk prevails, and the negative news is mainly related to various incidents and unlawful actions of citizens.